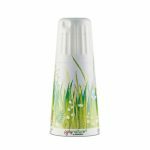 Jet Technologies offers functional packaging to make your brand look best on shelf, this includes closures, sparkling wine hoods, liquid pour pouch with spout & bag-in-box. With the highest European quality, our aluminium closures have multiple liner options to manage the oxygen transfer rate that your product may require. The cap size range is extensive and suitable for local application in manufacturing. Jet Technologies’ aluminium closures can be printed up to 5 colours to create the beautiful & functional packaging for your business. Jet Technologies is capable of printing up to 5 Pantone colours on a single closure. A range of hoods made from biocompatible material, a patented polymer, multi-layered & self-supporting material. Free from glues and adhesion promoters with 100% vegetable origin. 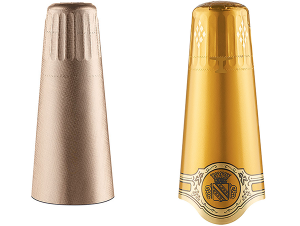 A sparkling wine hood that’s is 100% recyclable, a unique offering in the local market. Ultra-thick alloy material of 70-150 micron thickness, premium option for a premium feel. 80% of the remaining polymer structure originates from plant-based bio carbons (ASTM D6866-18 Method B). Available with up to 3 separate print processes (offset, embossed, screen, gravure, hot foil etc). A sustainable, glue-free, and micro-agglomerated cork. 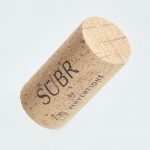 As it is made from TCA-taint-free cork granules, it combines high performance with outstanding design for closing premium wines with long-term cellar aging, biodegradability and no taint from adhesives often found in natural corks.